Interested in supporting us in another way? Donate in-kind services (like products, services, equipment, materials), sign up to be a volunteer, or include the Miller Gallery in your estate planning. 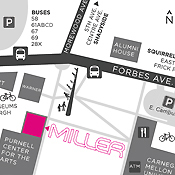 Since its founding in 2000 by Regina Gouger Miller, artist, educator, businesswoman, arts patron and alumna, the Miller Gallery has presented 89 exhibitions, 2434 artists + cultural producers, 180 events, in 6 cities. 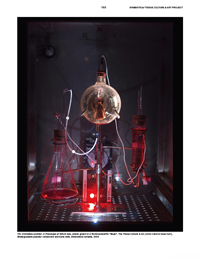 Intimate Science, a new exhibition that looks at artist-initiated research in scientific and technological domains, is on view through Sunday at the Miller Gallery at Carnegie Mellon University before it begins a national tour including stops from California to Connecticut. Contact as (at) cmu (.) edu for details. "Symbiotica/Tissue Culture & Art Project: Victimless Leather" from New Art/Science Affinities, available at the Miller Gallery Store.